They hit it off instantly. After one year together, she met his kids and they moved in together, blending their different lifestyles: country for him (he grew up on a family farm in Chesterville) and city for her (she is from Ottawa). The couple wanted to get married right away. 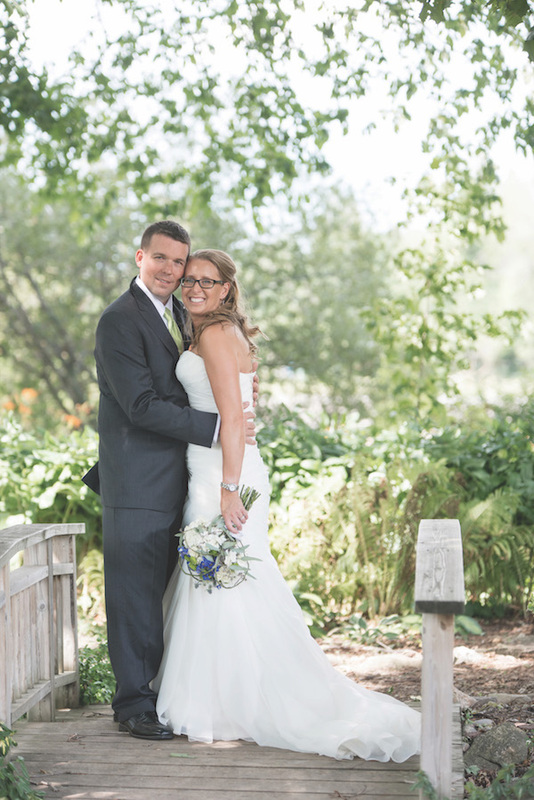 They chose to get married at Stanley’s Olde Maple Lane Farm, a one-stop shop that helped them plan all aspects of the wedding, including catering the food. “For someone like me that works full-time, they do basically everything for you,” she said. “It’s very handy.” The venue captured their style of wedding, which was casual, fun, camping, on the farm vibe. 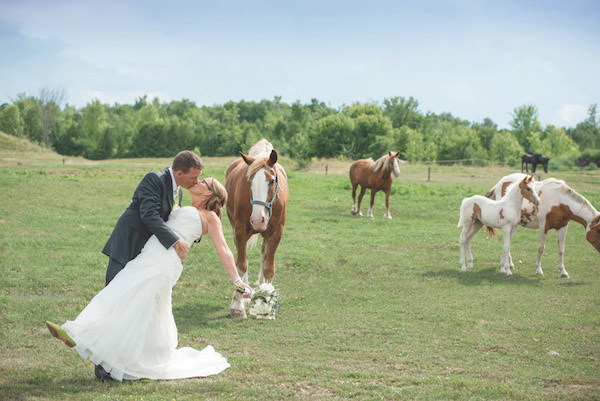 It was centrally located for guests coming from Ottawa and Chesterville, and having it on a farm was a nod to James’ farm upbringing. The couple included James’ kids in the wedding party as junior bridesmaid and groomsman. Kim wrote their wedding vows, which included jokes about Ford Motors, zombies and time management. “We laughed the entire time,” she said. The couple’s goofiness continued during their wedding pictures, which also featured James’ Boss 302 Mustang — “everybody knows that’s his second love,” said Kim.